Free Admission and grounds/museum access for vets and their families at Vanderbilt Museum, 180 Little Neck Road, Centerport. Nov. 10-11. Both veterans and active-duty service members receive free admission and access to the grounds and museum, as well as all exhibits and Planetarium shows at this noted landmark. Guided tours of the Vanderbilt Mansion, offered both days, are to focus on the Vanderbilt family’s participation in military history, from the War of 1812 to World War II. vanderbiltmuseum.org. Veteran’s Day and WW1 Ceremony at Museum of American Armor, 1303 Round Swamp Road, Old Bethpage. Nov. 11. Veteran’s Day and the centennial anniversary of the end of World War I will be observed during a free ceremony, beginning at 10:30 a.m. Local Boy and Girl Scouts will recite the names of Long Islanders who served during the Great War, World War II, Korea War, Vietnam War, the Gulf War and Afghanistan. museumofamericanarmor.com. Commemoration Activities at Old Westbury Gardens, 71 Old Westbury Road, Old Westbury. Nov. 12. Family-friendly Veteran’s Day Commemoration activities, including a story-time walk in the gardens, at noon, with “H is for Honor: A Military Family Alphabet” by Devin Scillian, being read as you stroll; and a drop-in Paper Poppy Pinwheel craft, at 10:30 a.m. and 1 p.m. Free for veterans and active military. The Gardens are open to the public, from 10 a.m.-5 p.m. oldwestburygardens.org. Nov. 10-12: Whaling Museum and Education Center, 279 Main St., Cold Spring Harbor. 631-367-3418. cshwhalingmuseum.org. Nov. 11: Cold Spring Harbor Fish Hatchery & Aquarium, 1660 Route 25A, Cold Spring Harbor. Bring military ID. 516-692-6768. cshfishhatchery.org. Nov. 11: Fire Island Lighthouse, at the western end of the Fire Island National Seashore, just east of Robert Moses State Park. 631-661-4876. fireislandlighthouse.com. 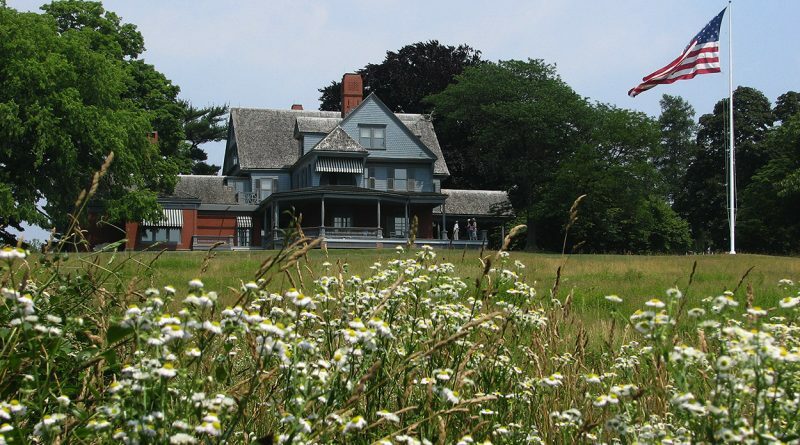 Nov. 11: Sagamore Hill National Historic Site, 20 Sagamore Hill Road, Oyster Bay. 516-922-4788. nps.gov.